At Patio Land USA, we pride ourselves on being your authorized dealer in Tampa, Florida for the best possible patio furniture. Not only do we offer the best possible selection, but we also offer you the best prices that you are going to find. One of the premium brands that we pride ourselves on providing to you is the CabanaCoast® aluminum outdoor patio furniture set, giving you the very best in visual appeal and quality. If you want to learn more about the brand and why we are proud to carry CabanaCoast®, we recommend you read on. 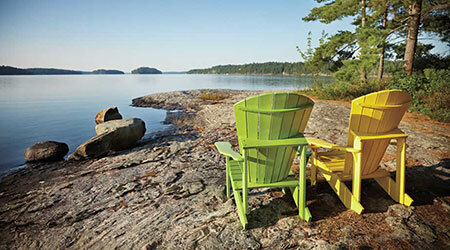 CabanaCoast® is a Canadian manufacturer that primarily focuses on making patio furniture for the residential market. Their compete line of luxury patio furniture combines unexpected, trendy, and eye-catching designs with contemporary and classic styles. 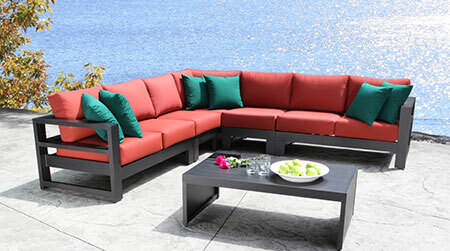 This provides each of the CabanaCoast® furniture pieces with a unique design that is going to help you transform your outdoor space into a luxury outdoor sanctuary. 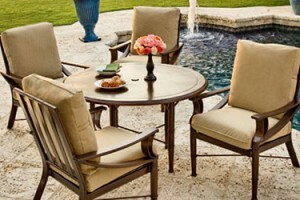 CabanaCoast® understands that if you are going to invest in patio furniture, you want it to last. 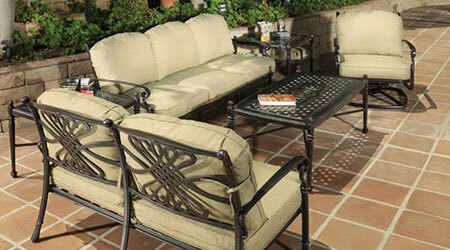 That is why the CabanaCoast® cast aluminum patio furniture line has extra durable and extra strong aluminum frames. In order to create a unique finish each time, CabanaCoast® uses the top North American brands for their powder-coat paint. One of the reasons that we at Patio Land USA proudly stand by CabanaCoast® aluminum outdoor patio furniture is because of the company’s attention to detail. They even make sure that the screws match the stainless steel on their patio furniture finishes. 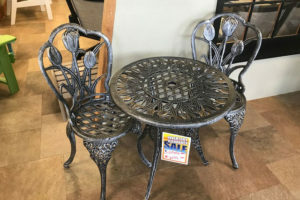 Simply put, they ensure that all of the aspects of their aluminum patio furniture line are checked, from color to quality, all the way to the hardware. 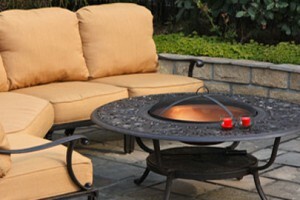 With the CabanaCoast® cast aluminum patio furniture line, it is possible to entertain whenever you feel like. This is because the cast aluminum is impervious to the elements and is weather-friendly. 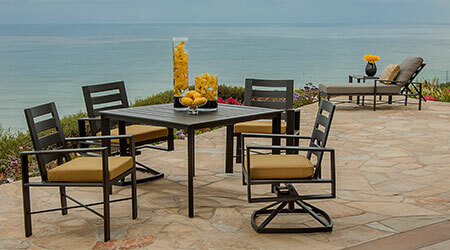 Because CabanaCoast® aluminum outdoor patio furniture is typically available in a variety of finish colors, you have a chance to match your furniture with your existing patio setup.